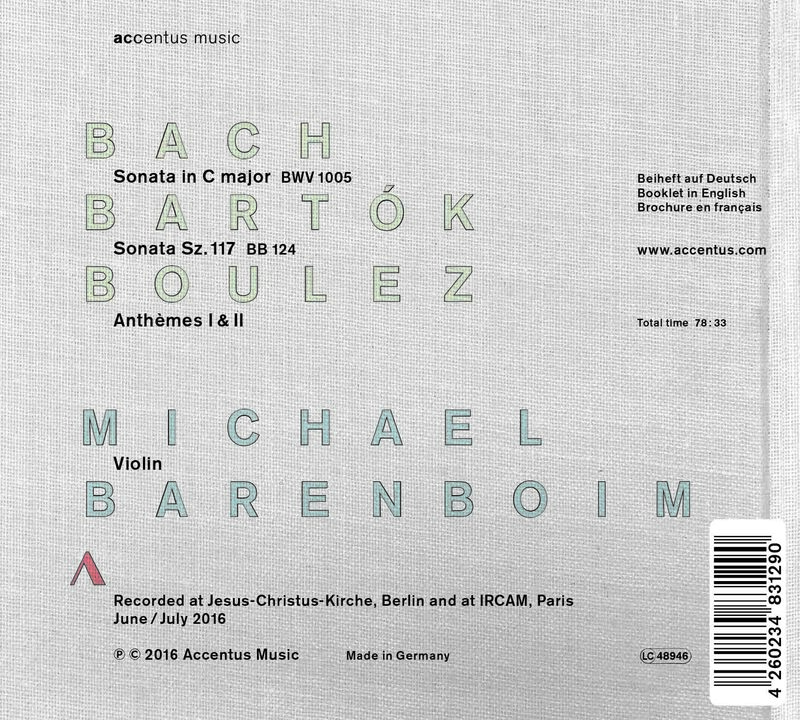 Michael Barenboim’s first solo CD, conceived like a solo recital, comprises the works of three composers that have had a profound impact on his musical upbringing. Together the works create an unexpected yet all the more exceptional listening experience: Bach’s Sonata in C major, BWV 1005; Bartók’s Sonata Sz. 117, BB 124; and Boulez’s Anthèmes I & II. For more information click here, you can watch a trailer here. The CD is now available in the UK and later this January in Germany and on February 3rd in France.